Rams star defensive tackle Aaron Donald is threatening to sit out the regular season if he doesn’t receive a new contract in the near future. The Los Angeles Rams could be missing the centerpiece of their defense to start the 2017 season. 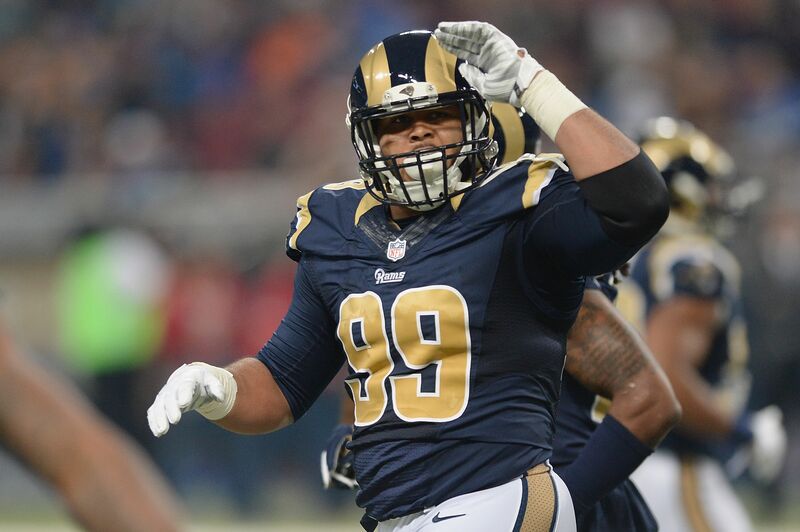 Rams defensive tackle Aaron Donald clearly isn’t happy with his current contract. So much so that his contemporaneous holdout may extend into the regular season if the two parties don’t come together on a new deal. Donald is under contract for two more years after Los Angeles picked up his inexpensive fifth-year option. Donald is considered the far and away best defensive tackle in the league. Pro Football Focus rated him no. 1 in the NFL at his position in 2016. With Wade Phillips holding the keys to the Rams defense in 2017, Donald’s production could go through the roof. Phillips is a defensive mastermind ,and players like Vonn Miller and DeMarcus Ware have flourished under Phillips’ guidance. Ndamukong Suh is the highest paid defensive tackle at the moment after signing a six-year, $114 million deal in 2015. Donald will likely seek to break that mark heading into negotiations, as he is slated to earn just $3.25 million this season and $6.89 million in 2018.